McDSP 4040 Retro Limiter is a highly stylized sounding classic limiter, with a huge 36 db gain threshold, ultra-low latency and an anti-clipping circuit. 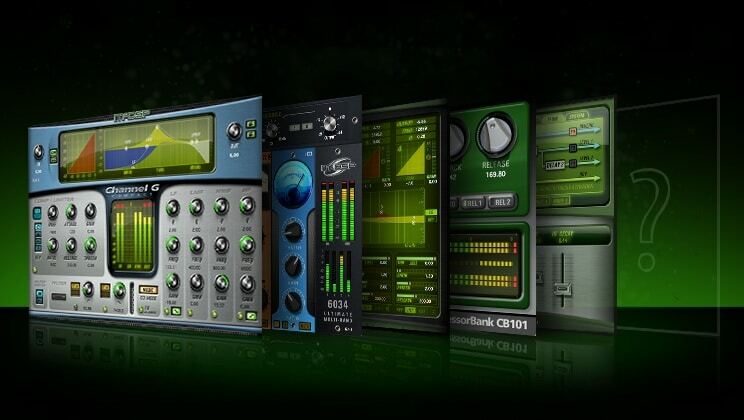 How Does The McDSP 4040 Retro Limiter Work? The 4040 Retro Limiter comes with, well, not too much control! But it has the features that make any look ahead brick wall limiter jealous. For starters there’s the low latency issue that curses all limiters of this type (except the ones McDSP makes!). The TEC Award nominated ML4000 ML1 mastering limiter has about 1 millisecond of delay (55 samples at a 48 kHz sample rate). The 4040 Retro Limiter has even less latency than the ML1 algorithm (37 samples at a 48 kHz sample rate). But where the ML1 is designed (mostly!) to be a transparent processor, the 4040 Retro Limiter has a significant amount of tweaking under the hood for a highly stylized sound. Based on anything in particular? Nope, we do dsp all by ourselves at McDSP. Note that up to 36 dB of gain can be drawn out of the limiter while maintaining a very un-limiter-like characteristic (i.e. natural, yet vintage-vibe-like). Did I mention that incredible Anti-Clip circuit at the output stage?